Organizers Contact Details: Any questions or concerns please contact Mary Tessier, North Dundas Chamber of Commerce Administrative Coordinator at 613-447-1533, info@northdundaschamber.com or Stephen Mann, Economic Development & Communications Officer at 613-774-2105, smann@northdundas.com. Setup will be permitted on Friday, April 27th from 11:00am – 7:00pm and again on Saturday, April 28th from 7:00 – 8:30am. Your booth must be completely setup by 8:30am, at which time there will be a vendor briefing session. Dismantling must not begin before 4:00pm and must be completed no later than 6:00pm. All the vendor booths downstairs will have draping on the back and two sides as detailed in this vendor information kit. There will be no draping in the marketplace. Booth locations will be determined by the organizers and will be advised as vendor arrive at the Expo. All booths downstairs will be 10’x10’ and all booths in the marketplace will be 6’x6’. All vendors will only be permitted single booths, due to demand no double booths will be allowed. Only one marketplace booth allowed per direct sales company. If you required power for your booth you must select and pay for this option online, as such spaces are limited and can only accommodate light power usage. Extension cords will not be supplied. 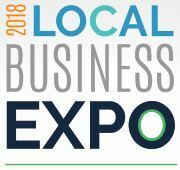 If you would like to present a demonstration or product on stage during the Expo, please email the organizers at info@northdundaschamber.com by April 2nd, 2018. There is no charge to present. If you would like to include a coupon or a value added item in the Swag Bag that will be given to the first 200 guests, please have it to the Township office no later than April 13th, 2018. Promotional material detailing only your products and services will not be accepted. There is a $25 charge for non-chamber members to participate in this opportunity. The exhibitor/vendor shall be responsible for insuring their property and the Township/Chamber shall bear no cost towards such insurance or deductible. Failure to carry appropriate insurance shall not impose liability on the Township/Chamber. Those vendors that do not have their own insurance and wish to purchase insurance may be able to purchase coverage from the Township’s insurer. Please contact Stephen Mann at 613-774-2105 for details. Food vendors or those serving food samples are required to obtain and maintain until the termination of the agreement and provide the Corporation of the Township of North Dundas with evidence of: Commercial General Liability Insurance issued on an occurrence basis for an amount of not less than $5,000,000 per occurrence/ $5,000,000 annual aggregate for any negligent acts or omissions relating to their operations. Such insurance shall include, but is not limited to bodily injury and property damage including loss of use; personal injury; contractual liability; premises, property & operations; non-owned automobile; broad form property damage; owners & contractors protective; occurrence property damage; products; broad form completed operations; employees and volunteers as Additional Insured(s); contingent employers liability; tenants legal liability; cross liability and severability of interest clause. The Corporation of the Township of North Dundas and the North Dundas Chamber of Commerce shall be added as Additional Insured subject to a waiver of subrogation. This insurance shall be non-contributing with and apply as primary and not as excess of any insurance available to the Township and the Chamber.Any and all deductibles shall be the sole responsibility of the exhibitor and/or vendor and the Township/Chamber shall bear no cost towards such deductible.The exhibitor/vendor shall be responsible for insuring their property and the Township/Chamber shall bear no cost towards such insurance or deductible. Failure to carry appropriate insurance shall not impose liability on the Township/Chamber. The Policies shown above shall not be cancelled, or materially changed unless the Insurer notifies the Township/Chamber in writing at least thirty (30) days prior to the effective date of Cancellation. The insurance policy will be in a form and with a company which are, in all respects, acceptable to the Township/Chamber. The exhibitor/vendor shall provide the Township/Chamber with a certificate of insurance evidencing coverage as noted above by sending it to Stephen Mann at smann@northdundas.com no later than April 6th, 2018. The exhibitor/vendor shall defend, indemnify and save harmless the Corporation of the Township of North Dundas and the North Dundas Chamber of Commerce, their elected officials, officers, employees and volunteers from and against any and all claims, actions, losses, expenses, fines, costs (including legal costs), interest or damages of every nature and kind whatsoever, including but not limited to bodily injury or damage to or destruction of tangible property including loss of revenue arising out of or allegedly attributable to the negligence, acts, errors, omissions, whether willful or otherwise by the exhibitor/vendor, their officers, employees, or others who the exhibitor/vendor is legally responsible. This indemnity shall be in addition to and not in lieu of any insurance to be provided by the Township in accordance with this agreement, and shall survive this agreement. Downstairs booth dimension are 10’wide x 10’deep and the marketplace booths are 6’wide x 6’deep. Only the downstairs booths will have an 8’ high back drape and a 3’ high side drape. There is no draping in the marketplace. All booth setups must not block the visibility of the vendors on either side. All displays that are higher than 4’ on the side must not be wider than 5’ (starting from the back of the booth) and not be higher than 8’. See acceptable display area in diagram above. If visibility is hindered, you will be asked to remove the items. Any content, company name, logo, etc. displayed on the back side of your booth above the curtain (facing the booths behind you) is strictly prohibited. Tables are to be covered including the top and front to the floor. Table linen rental is available. As no carpeting is supplied, you are encouraged to bring your own flooring/carpeting. Please note that no tape will be permitted to be applied to the arena floor or walls. Audiovisual promotions and displays will be permitted only if they do not negatively affect neighbouring vendors. The organizers reserve the right to curtail or remove any sound systems in their sole discretion. The vendors shall not commit any nuisance, cause any unusual, noxious or objectionable smoke or odor to emanate from the exhibit. All electrical equipment must be CSA approved. In the event that because of war, fire, strike, government regulation, public catastrophe, act of God or other cause, the show or any part thereof is prevented from being held, is cancelled or the exhibit space applied for herein becomes unavailable, the North Dundas Chamber of Commerce and the Township of North Dundas shall determine the refund to the applicant, if any, but in no case shall the amount of refund to the applicant exceed the amount of the exhibit fee paid. Exhibitors shall not be entitled to a refund of any part of any fee should the Exhibitor for any reason be unable to exhibit at the show, and shall be liable for any unpaid balances. Exhibitors shall observe and abide by additional rules or regulations that may be adopted by the North Dundas Chamber of Commerce, Township of North Dundas and Joel Steele Arena, which shall be as much a part hereof as though fully incorporated herein. If an Exhibitor fails to make payment, the North Dundas Chamber of Commerce, Township of North Dundas and Joel Steele Arena may change the Exhibitor’s space assignment without further notice or such Exhibitor’s rights to exhibit may be cancelled by the management without further notice and such Exhibitor shall not be entitled to a refund of any part of any fee. The North Dundas Chamber of Commerce, Township of North Dundas and Joel Steele Arena shall be entitled to close an exhibit at any time for failure by any Exhibitor or any of their officers, agents, employees or other representatives to perform, meet or observe any term or condition set forth herein. In such event, the Exhibitor shall immediately remove its display and the North Dundas Chamber of Commerce, Township of North Dundas and Joel Steele Arena may release the space to others and the Exhibitor shall not be entitled to a refund of any part of any fee. The North Dundas Chamber of Commerce, Township of North Dundas and Joel Steele Arena reserves the right, in its sole discretion, and for the orderly and proper coordination and conduct of the Expo and exhibits, to change or revoke any booth assignment at any time prior to the opening of the show. The North Dundas Chamber of Commerce, Township of North Dundas and Joel Steele Arena further reserves the right to terminate an Exhibitor’s space assignment during the Expo in the event of a breach of these Rules and Regulations or in the event the Exhibitor’s booth, display or conduct is, in the North Dundas Chamber of Commerce, Township of North Dundas and Joel Steele Arena’s sole discretion, disruptive to the Expo. In the event an Exhibitor’s booth or space assignment is cancelled no refund will be issued. The Exhibitor shall not permit or allow beer, wine, or liquors of any kind to be sold or given away. All Exhibitors must comply with Municipal, Provincial, and Federal building and fire codes. Drapery, carpeting, table coverings and any booth decorations must be made of flame retardant material. All material is subject to inspection and flame testing at any time by the fire department. Aerosols are permissible, but Exhibitors are to display only one pressurized container not to exceed one-pint capacity of each product classified as a flammable liquid. Nonflammable products are not restricted.